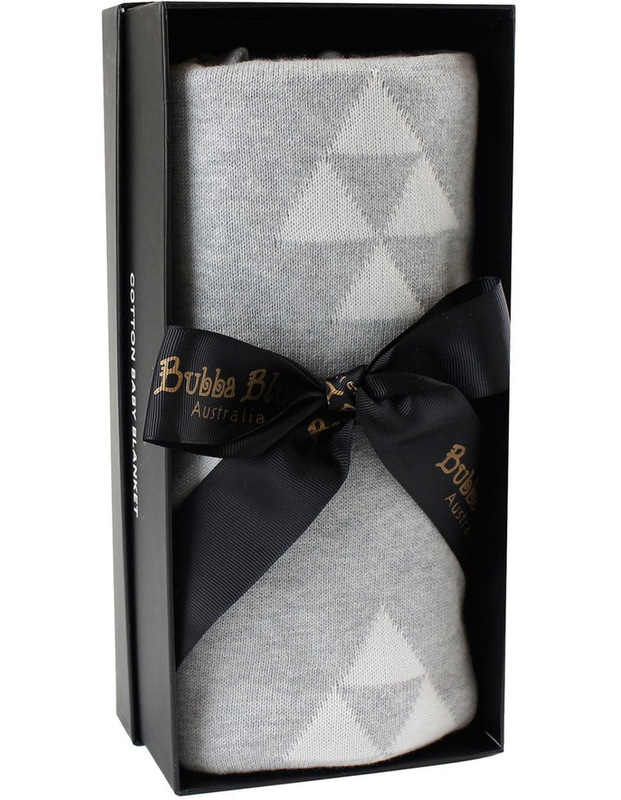 Introducing the Bubba Blue collection of Cotton Knit Baby Blankets. Featuring contemporary and stylish designs, these blankets are supor soft, 100% cotton, and large enough for babys bassinet, cradle, cot or pram. A perfect everyday travel companion for stylish bubs. Comes in stylish gift box with luxe ribbon and are perfect for baby shower or newborn gifts. This contemporary inspired monotone blanket is a super soft, 100% cotton baby blanket large enough for babys bassinet, cradle, cot or pram. A perfect everyday travel companion for stylish bubs. Features a grey and white triangle print.